In this short passage, four things jump right out and ask us to look into them more closely. What is this Festival that Jesus was at, and how important is it to what he says? What is it that Jesus is actually offering to people who come to Him? Why did the people think that Jesus might be the great Prophet they had been waiting for? And why are they confused about Jesus’ identity? Let’s start with this day of celebration in Jerusalem. This was the annual Festival of Tabernacles, also called the Feast of Booths. This was the time when the Jews would remember the years of wandering in the desert and had to live in tents until they finally crossed the Jordan River and could live in houses. At this Festival, thousands of Jews would come to Jerusalem and pitch a tent, or a covered booth, and remember God’s protection and provision to them in the past. On the very last day of the Festival, there was to be extra rejoicing as the end of the week commemorated their forefathers entry into the promised land of Canaan, the land which “flowed with milk and honey”. At this climactic moment, Jesus stood up and boldly proclaimed, “Come to me whoever is thirsty.” And to whoever would put their trust in Him, He promised them, “rivers of living water”. What Jesus was saying to the people was that just like God Himself through Moses provided natural water to sustain their bodies in the desert, so now Jesus was by analogy saying that He was like God and could provide sustaining water to the people there in Jerusalem. But not just natural water, but spiritual water that could refresh the hearts and souls of those who would put their trust in Him. No wonder the people began to say, “This must be the great Prophet,” which alludes to Deuteronomy 18:18 where God promised Moses that another great Prophet like him would one day come to help the people of Israel. Some people went even further and declared that Jesus must be the Messiah, the specially anointed One whom God would send to save Israel. And yet, when the people are so close to the truth about who Jesus was, and is, they became confused. They had been taught that the Messiah would come from Bethlehem of Judea. They had heard that Jesus came from Nazareth of Galilee. They could not reconcile the rumours with their teachings. What is sad is that both of these statements were true, for Jesus was in fact born in Bethlehem, but then raised up in Nazareth. When Jesus died on the cross, He opened the flood gates of God’s compassion and forgiveness for our sins. That is, to whomever will accept Jesus as the One who paid the penalty for sin for them. And when Jesus was raised from the dead and returned to Heaven, He was then able to release the power and the life of the Holy Spirit into all of our lives. That is what is meant above about the Spirit not having been given yet. While Jesus was on earth, He ministered directly to those who were immediately there before Him. Remember that God is really three Persons-in-One, the Father, the Son, and the Holy Spirit. And God chose to limit His involvement with mankind as one Person at a time. We all had to wait for Christ to ascend before the Holy Spirit could descend and empower and fill each one of God’s children. Consider what has been said here and ask yourself this: “Is my life spiritually dead and dry?” Then I invite you to turn to Jesus who can forgive you of your sins and release the power of the Holy Spirit into your life. And don’t be like some of those Jews who thought they knew who Jesus was and where He came from. Read the Bible and find out for yourself. God bless you on your journey for Truth and Life. In last week’s article, we caught a glimpse of the heart of a missionary wife and mother, just before they headed overseas to France where they all would concentrate on learning French. This was an important step for them to become much more proficient in French before they would go next to West Africa and minister there where most people are bilingual in French, the official language. 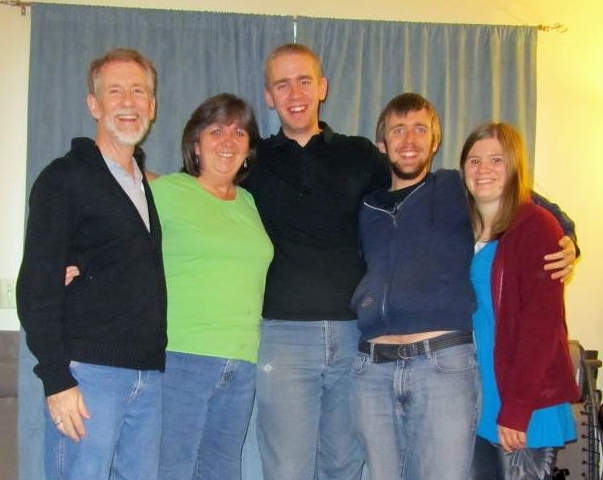 In the first two weeks that this missionary family spent in a small rural town in France, all of them had some interesting and often demanding experiences. I’m sure that the leaders and experienced field personnel from our mission were careful to teach them what kind of things to expect when they would get to Africa, and to be prepared for the culture shock that would happen once they got there. What they may not have been prepared for was the initial stages of being enamoured by the differences they found in France, followed by shock and frustration that comes when they realized that that was not their home. Familiar activities that would normally be quite easy, could suddenly become very difficult and frustrating when they didn’t work the same way. Then add to that the language barriers, which can get anyone discouraged and frustrated. Thankfully, God built most of us to be somewhat in awe, filled with excitement when we first get to our new environment. This is called the “Honeymoon Stage”, where everything is just so fascinating because things are both different and interesting from what we are used to. God also has designed us to be flexible and learn how to adapt quickly to new situations that occur in new environments. That is what I would like to do now, in this article and one more, is to see the interesting differences of life in another country seen through the eyes of a new missionary family. The wife kept a kind of journal, which she would then email back to her family and friends over here. She has given me permission to put out excerpts from her notes. I hope you will find some of the things she writes as interesting to you as they were to me when I first read it. Could Jesus Be The Messiah? This passage in John 7 is a continuation of the confusion among the Jewish people with regards to who Jesus is, as well as the rising confrontation between Jesus and the Jewish leaders. In verse 20 of this chapter, the people appear to be shocked when Jesus suggested that there were people who wanted to kill Him. But now we see in verse 25 that many in the crowd have heard and believe that this threat to kill Jesus is real. The fact that the religious leaders were not arresting Jesus gave second thoughts to the people. Since the leaders were not moving against Jesus, that perhaps meant that they in fact had condoned Jesus’ actions. This carried the implication that perhaps Jesus could be the great Messiah, the One who would come to save the people from their enemies and rebuild the Jewish Kingdom on earth. The Jewish leaders though would not listen to any of this. They saw Jesus as a threat to the rules and regulations of their religious ways of life and they did in fact want to arrest Jesus and ultimately to kill Him. What is fascinating to read is that twice in this passage, and again later, we will see the leaders try to have Jesus arrested, but they are unable to do it. 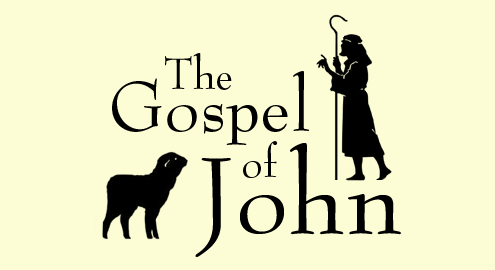 In John’s gospel, in the first eight chapters, twice Jesus said the words, “My time has not yet come,” (2:4; 7:8) and John commented twice saying, “His time had not yet come,” (7:30; 8:20) There could be a number of things that Jesus (or John) is referring to when He says this. It could refer to Him revealing His true nature or His time to die on the cross. But it most likely means in this context, it was not time yet for Him to be arrested. He still had some important things to teach as we will see in the next few chapters. Jesus’ next words really confused the Jewish leaders when He said they will not be able to go where He was going. Undoubtedly this does refer to the time after His resurrection when Jesus would return to His Father in Heaven. The leaders think Jesus will slip away to some other geographical area. They don’t realize the spiritual implications that they would not follow Him to heaven when they would die. Let’s consider what this passage has to say to us now today. What do you think about who Jesus is, what He taught while on earth, and where He went to be after His death and resurrection? Are you as confused and offended as some of the people were when you hear the story of how Jesus came to earth, born to a poor family inside of a stinky animal shelter? Do you think that God is supposed to reveal Himself suddenly with divine miraculous powers rather than show up among us in the form of a man? Is it possible that you may be so religious (like the Jewish leaders) that the form of how you are supposed to worship God is more important that the Person whom we are to worship? Are you certain that after this life you will be accepted into God’s presence to live in Heaven forever? Have you based that hope on the things that you have done to earn God’s favor? Or are you trusting in what Jesus did for you on the cross? Keep these questions in mind as we move forward in John’s gospel. What does it mean to say, “God opens doors and God closes doors”? This sounds like a highly cryptic and spiritual saying. In practical life, this means that when we get blocked from doing something, it is very possible that it is God who has shut out that opportunity, no matter how hard we want it and how hard we try to get it. We can’t obtain or achieve something we wanted. And that frustrates us. A lot! But then there are times when everything seems to just go perfectly. Every piece of a complex puzzle will fit right into place, and just at the right time, often at the very last opportunity it still comes through for us. We are glad for that. But do we ever stop to wonder and ask, “Is God behind all of this and that is why the path to this was successful?” In spiritual terms, did God open all the right doors at just the right time to make this all happen and pull together so well? You try one door after another, yet no one responds to your résumé. No university accepts your application. No doctor has a solution for your illness. No buyers look at your house. Another important question is to ask if this idea is Scripturally sound? Does God interact with humanity and does He do so in an individual way, guiding and leading individuals to specific goals? It seems to me that the obvious answer in the Bible is “Yes! He does!” Throughout the early books, God is seen to have interacted within the lives of Abraham, Isaac, Jacob, Moses, Joshua, David, the many prophets, and more. God continually offered instructions and guidance to help the nation of Israel to grow and to flourish. One of the greatest examples in the New Testament is how God specifically guided Paul and his small band of missionary friends. They prayed to God to show them where they should go, and God would reveal that or impress that upon them and all went quite well. But there was one period of time that totally stumped Paul and probably got him quite irritated and maybe even frustrated with God. In Acts chapter 16, Paul and his team kept trying to enter into a new section of Asia, but somehow God blocked that at every turn, and they didn’t go that way. While wrestling with these disappointments, Paul suddenly then had a vision of a man who was standing in Macedonia (a Roman province in the country of Greece) who was calling Paul to come there to help them. Paul understood that to be God’s leading and the next day his team crossed the narrow strait which separates Asia from Europe, and he began to teach about Christ and the Kingdom of God. The message hit home. A woman responded in faith, was baptized and became the first European convert to Christianity. The closed door to Asia led Paul to bring the Gospel to Europe. And the world history has never been the same. Now some may say that all these are stories that belong to history and the ancient peoples contained within the Bible. And yet, if one was to ask Christians around the world today, he may be surprised to hear the testimonies by the thousands that clearly point to an outside benevolent being (namely, God) who was not only there, but He is very active in their day-to-day activities. Max Lucado shares a story with us in Chapter 16 of what happened when he and his congregation tried to go ahead with a building expansion project for their church. The people had prayed and believed that God would have them go forward. But then a number of obstacles kept hitting them so that the money they raised was never enough to go forward with. Prices on all materials kept getting pushed higher and higher so that they found it would be too difficult to purchase the material. 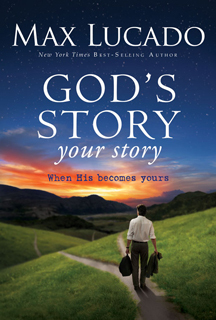 In the midst of all this, Lucado was diagnosed with a serious heart condition. Then later that year, the recession hit North America which spread world-wide. Wow! The church expansion ideas were put on the shelf. But think of what it would have been like if they had tried to push through the door that God had closed on them and which never opened to go ahead with the building project. It was a classic God’s story/our story contrast. From our perspective we saw setbacks. God, however, saw an opportunity to keep us out of dangerous debt and bolster our leadership team with a new senior minister. A plan to protect us from a budget-busting mortgage and to grant us fresh leadership. God closed the wrong doors so he could lead us through the right one. I don’t know where you are at on all of this. If you don’t believe in God, then you will have trouble with all I have written and suggested. But even some Christians who read this may have difficulty believing that God interacts with us in our daily lives. I challenge you to really go out there and listen to the thousands of stories of people who can testify that if it had not been for God opening or closing some door in their life, then they would have been so much worse off. In the section of John chapter 7 just before this passage, we saw that Jesus was trying to keep a low key profile. As some would say today, it looked like he was trying to “fly under the radar”. It must have been difficult for him seeing as the annual “Feast of Tabernacles” was meant to be a joyous time for all Jews, and especially in Jerusalem. And then suddenly during the middle of the week of celebration, we see Jesus marching straight up to the Temple and beginning to teach. I wonder what was going on in his mind. Could it be that he saw the shallowness and superficiality of the faith of many of his countrymen and he wanted them to come to know his Father like he did? Or more probably, he could no longer stand the hypocrisy and the abuse of religious power that the Jewish leaders exercised over the people and Jesus finally had to speak up against this. The encounter that followed was very dramatic. Jesus taught with great boldness concerning God and His Kingdom and the people were amazed at this. They saw that his message was full of spiritual power, but they had always been led to believe that a person had to go through the Rabbinical schools (their form of theological seminaries) to have such power and authority to teach and preach like Jesus did. But Jesus points out that religious pedigrees and positions are things that are important to men, but not to God. What is really important is to lead people back into a living relationship with God. Even if it means pointing out the sin in one’s life that is keeping that person away from God. Jesus knew that his teachings struck at the hearts of those selfish hypocrites of his day, and he calls them out to the table by stating that they even have it in their heart to kill Jesus, and thus kill his message that would convict them. The truth is laid bare when Jesus revealed their hypocrisy over actions done on the Sabbath. They claimed that no one could do any work of any kind on the Jewish day of rest. And yet they had the command of God for circumcision, which was older than the Law, that they said allowed them to break the Sabbath rest. In other words they used one law to break another law. And they felt quite justified in their rigid legalism. On the other hand, Jesus did a tremendous act of compassion by healing a lame man on the Sabbath. But rather then praise Jesus for his action, they accused him of breaking a religious law. To God, this is so absurd! To allow a religious rule to overshadow meeting the needs of hurting people goes against the very nature of God. Jesus pointed out what the real issue was when he said, “Look beneath the surface so you can judge correctly.” Whenever we put the focus on conformity to external behavior (which is what legalism is all about), we lose sight of what is really important, the true condition of the person’s heart. It is not difficult for a person to do “all the right things” and still be miles away from God in his heart. But if a person’s heart is pure and open and receptive to God and His grace, then all his external actions will match the inner beauty of his heart. And that brings us to some important application here. Let us be very slow to judge and condemn another person simply on the external behaviors that we might see. We must instead take the time to get to know that person and what is going on in the inside of him or her. We do not need to promote conformity to rules to be the basis of thinking that person is right with God. We need to help nurture a person’s relationship with God. That is a heart issue. In closing, let me remind us all that Jesus gave a stern warning to us in his analogy that we might have a plank sticking out of our eye (metaphorically speaking) while we judge someone else’s sin (which he compared to as a speck of dust in their eyes). Let us clean up our own heart before we think we can help clean up someone else’s heart.